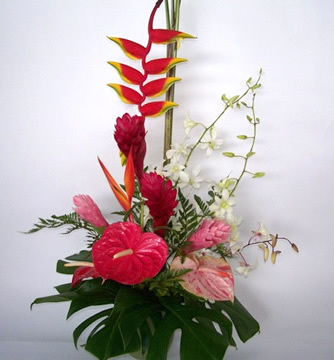 A single pendulum heliconia is the accent of this bouquet. 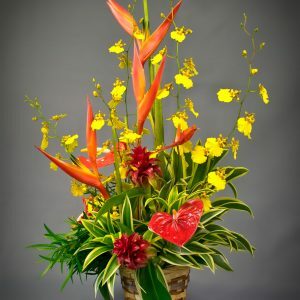 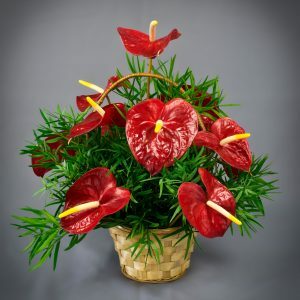 It is paired with a smaller heliconia, surrounded by pink and red gingers, complimented with anthuriums and dendrobiums. 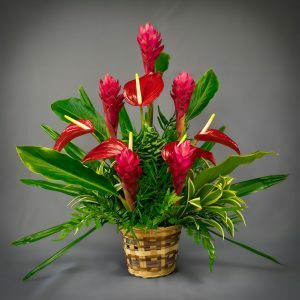 Hawaiian foliages are the finishing touches to this beautiful arrangement. 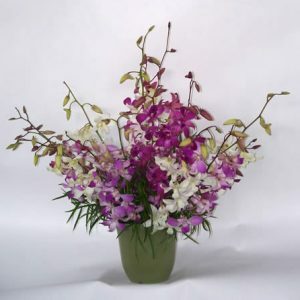 A dozen fresh Hawaiian tropicals arranged and shipped, to your requested destination, just add fresh water and enjoy!